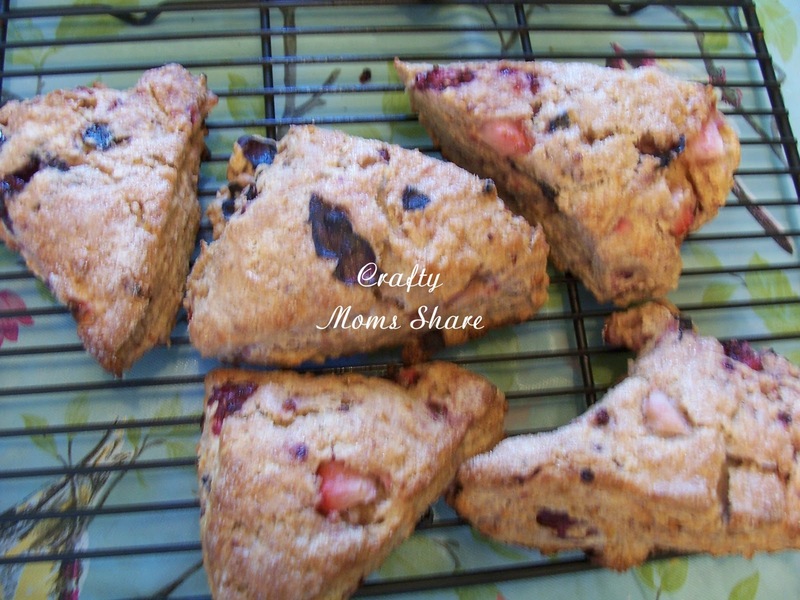 A couple of Sharing Saturdays ago, Jamie at Scattered Thoughts of a Crafty Mom shared her recipe for fresh strawberry scones (and homemade strawberry milk). We have gotten scones a few times at Starbucks lately so Hazel has been asking to make them. I told her I needed to find a recipe, so when I saw it, I knew we would be trying it. 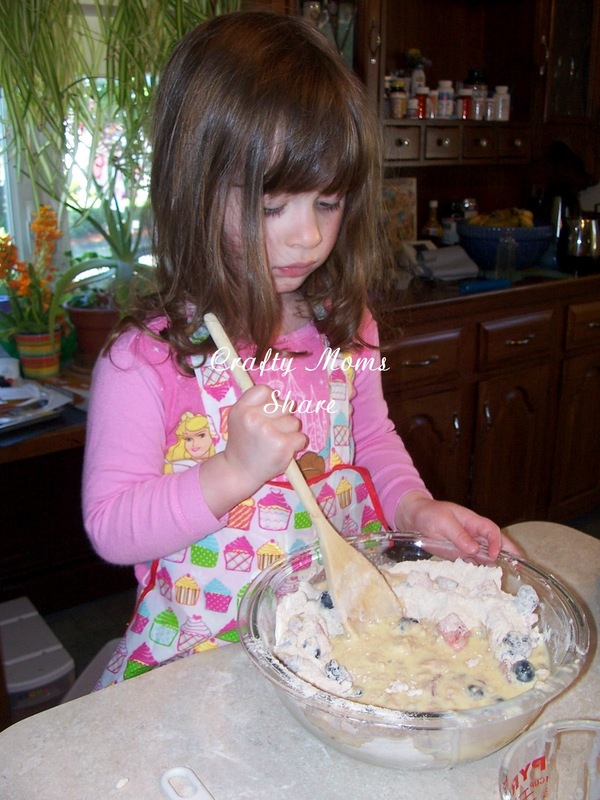 We followed her recipe for the most part except we used mixed berries--strawberries, blackberries and blueberries--since that is what we had. We also added a teaspoon of cinnamon since Hazel wanted to--she seems to think cinnamon goes in everything. I figured it wouldn't hurt in this recipe, so we did it. 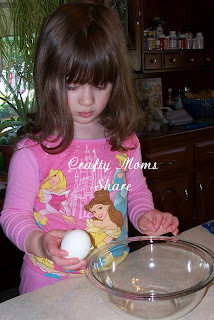 Hazel cracked the egg all on her own and did not get any shell in the bowl!! 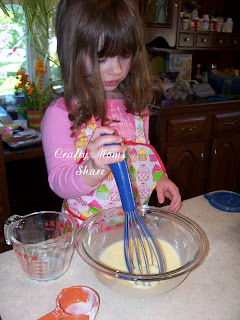 Then she whisked while I gathered the next ingredients. The next thing we needed to do was make some lemon zest. Hazel had never seen this nor do we use lemons too often, but I pulled out my zester and let her try. She had fun. 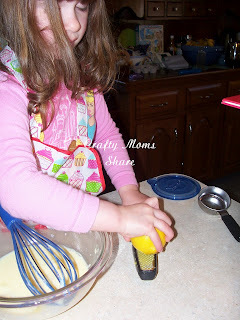 Then she whisked all the liquid ingredients--including the zest. 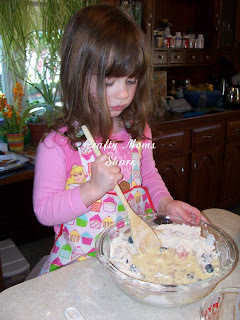 We set that bowl aside and started on the dry ingredients. We used white whole wheat flour and this is where we added the cinnamon. Then we added the butter and I used forks since I have misplaced my pastry cutter to break it up. 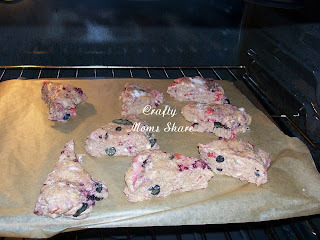 Then we added the berries. I chopped them all a bit. And finally added the liquids from earlier. But then it got hard to stir, so we used our hands. Then we followed the directions to take it out and cut it and put it on the pan and in the oven. I baked mine a little longer than the recipe said. Then we let them cool a bit, but we did eat the first ones warm. We all enjoyed them. In fact I think Steve ate three or so for breakfast this morning! Thank you, Jamie for the recipe!! Thanks for sharing at Happy lil ❤'s are baking! 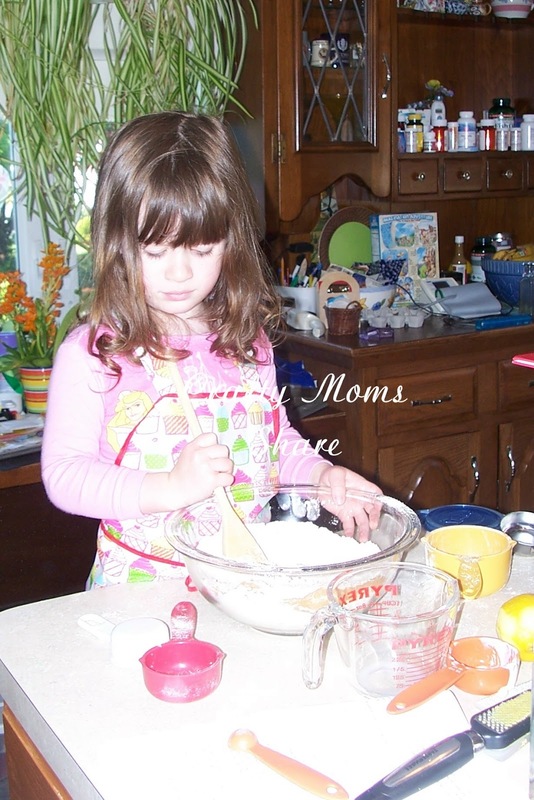 Your lil chef is so beautiful :) the scones don't look too bad either- thanks for linking up with Kids in the Kitchen! happy you're here! 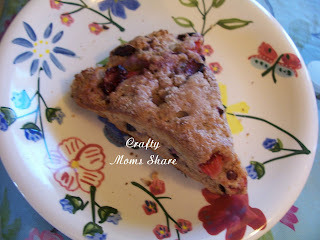 I love strawberry scones and chocolate chip scones! Thanks for linking up with my Super Link Party! A lovely bit of baking going on there. She looks a pro doing it. Thanks for sharing on Science Sparks. I love getting kids in the kitchen! Thanks so much for sharing at Mom On Timeout! I love scones. 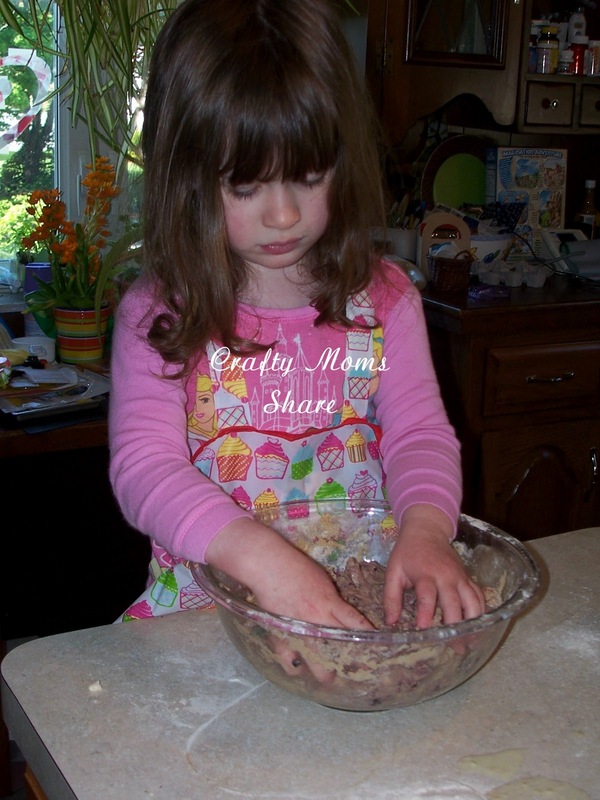 Those look wonderful, and what an adorable little helper you have. I'm your new GFC friend. I would love if you stop by http://hotflashncraftn.blogspot.com/ and be mine, too.